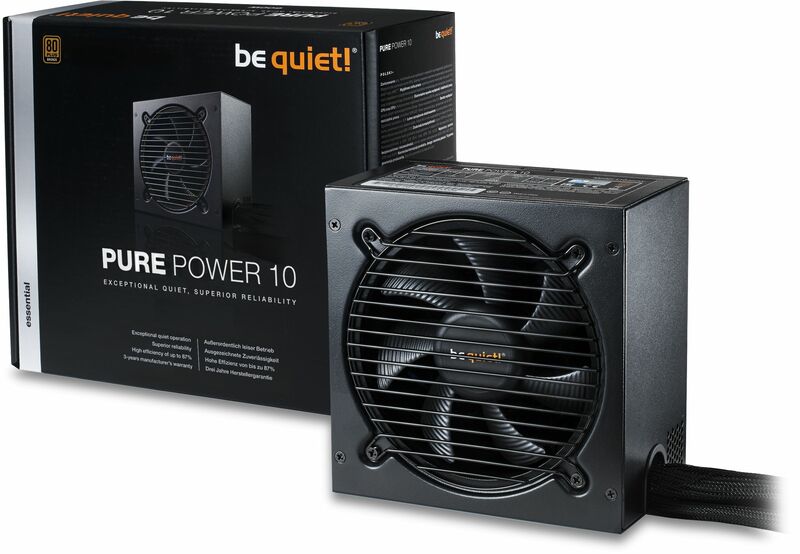 The be quiet Pure Power 10 PSUs offer a plethora of features you would only expect to see on more expensive power supplies. 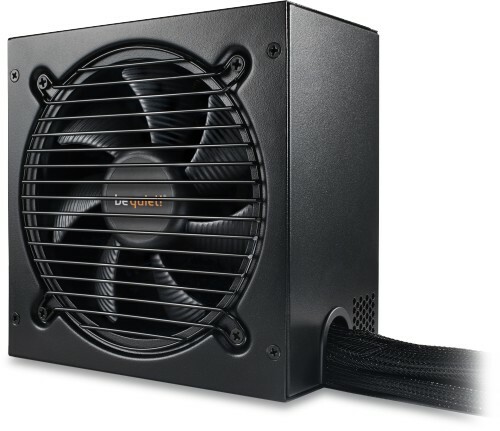 PURE POWER is the entry-level series of power supplies from be quiet! and offers the proven reliability and security of the market leader. The units stand out for their quiet, efficient operation and solid quality. They are especially well suited for classic office and web applications, standard graphics applications and basic gaming. Two independent 12V-rails improve power signal stability. Active Clamp and Synchronous Rectifier (SR) technology produces very stable operation. DC-to-DC conversion for even tighter voltage regulation under heavy cross-loading conditions. Four PCI express connectors for multi-GPU system configurations. Full suite of top safety protections defends against over-currents, over- and under-voltages, short circuits, overheating and overloads. High-quality sleeved cables simplify component installation, increase airflow and improve cooling. All-in-one cable with convenient easy-plug HDD connector. 80PLUS certification means very high operating efficiency for its class of up to 91%. High efficiency means cost savings, less wasted heat, and an overall quieter operation. Standby drain of less than 0.11 watts. Zero Load design supports Intel’s Deep Power Down C6/C7 mode. High-quality 120mm be quiet! fan is thermally controlled and optimally governed to strike the best balance between effective cooling and deep quietness. Airflow-optimised fan blades reduce turbulence, enabling a best-in-class quiet function with excellent airflow. High efficiency design produces low operating temperatures.